The Royal Academy of Dance (RAD) is an international dance education and training organization, and examination board that specialises in the teaching and technique of Ballet. The RAD was established in London, England in 1920 as the Association of Operatic Dancing of Great Britain, and received its Royal Charter in 1936. HM Queen Elizabeth II is currently the patron of the RAD and Dame Antoinette Sibley has served as President since 1991. The RAD was created with the objective to improve the standard of ballet training in the UK and, in pursuit of that goal, a new teaching method and dance technique was devised for the Academy by a group of eminent European dancers. The RAD is one of the largest dance organisations in the world with over 13,000 members in 79 countries, including over 7000 that hold Registered Teacher Status. There are currently over 1,000. R.A.D students in full-time or part-time RAD teacher training programmes and each year the examinations syllabi are taught to over 250,000 students. The RAD’s Examinations Board is accredited by Ofqual and is validated by the Council for Dance Education and Training. The RAD also works in partnership with the International Dance Teachers’ Association. The RAD consists of both a registered charity and a commercial division known as Royal Academy of Dance Enterprises. The Royal Academy of Dance offers two examination syllabi, which are suitable for both male and female students and form the basis of the RAD’s work in the UK and overseas. Each programme consists of a series of progressively more difficult practical examinations. The RAD method, is a ballet technique and training system, specially devised by the founders of the RAD, who merged their respective dance methods (Italian, French, Danish and Russian) to create a new style of ballet that is unique to the organisation. The RAD method produces a style of ballet that has become recognised internationally as the English style of ballet. The most identifiable aspect of the RAD method is the attention to detail when learning the basic steps and the progression in difficulty is often very slow. While the difficulty of an exercise may only increase slightly from grade to grade, more importance is placed on whether the student is performing the step with improved technique. For example, plie exercises are employed consistently throughout the lower grades to enable the student to progressively deepen the plie and improve turnout. The principle behind this is that if enough time is spent achieving optimal technique before introducing new vocabulary, the easier it is for the student to learn the harder steps, while exercising basic technique to the maximum at all times. The Graded Examination Syllabus consists of Pre-Primary, Primary, and numbered Grades 1-8. Each grade incorporates classical ballet, free movement and character dance. The syllabus is devised to progress in difficulty from one grade to the next and a student studying the grades in sequence would be expected to develop a greater degree of dance technique at each level. Classical Ballet is one of the most widespread dance forms in the world. Originating in the Italian royal courts of the Renaissance period, over hundreds of years it has been developed into a highly technical dance form. Ballet is the foundation of the RAD’s work and is the most important part of the Graded Syllabi. Free Movement is the term applied to movement from dance styles such as natural movement, contemporary and Classical Greek dance. Free movement does not have to include codified dance vocabulary and is usually an improvisation based on the students’ interpretation of a piece of music or stimulus. 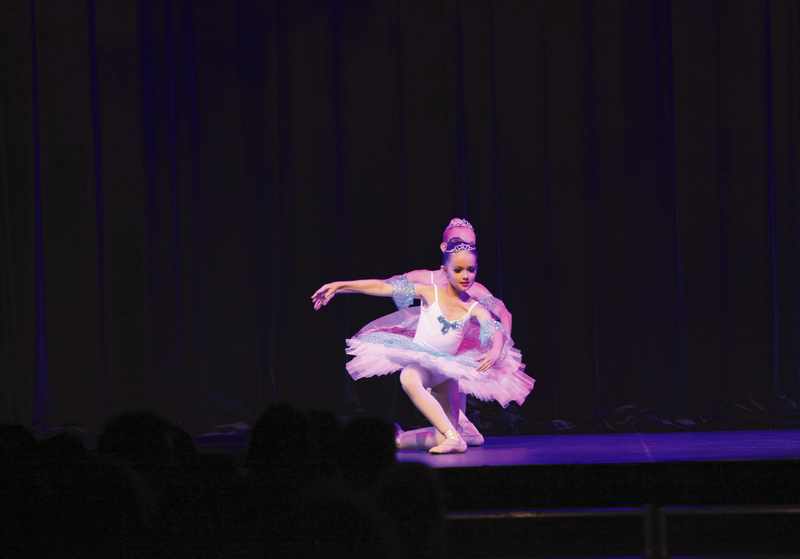 Character Dance is an integral part of classical ballet repertoire. It is the stylised representation of a traditional folk dance, normally from a European country and uses movements and music which have been adapted for the theatre. The RAD syllabus uses character dances based on Hungarian, Russian and Polish folk dance. Students who have studied a complete grade from the syllabus will normally take an examination organised by their dance teacher and held at the teachers’ studio or a suitable venue hired for the occasion. In the examination, the students perform the relevant grade work for an RAD examiner, who assesses the artistic and technical execution of the grade. A successful candidate receives a certificate printed with their name and the grade passed. They also receive a report detailing what marks were awarded and highlighting which aspects of their performance need further improvement. Unsuccessful candidates receive a report and a certificate of participation. The Pre-Primary grade is devised for younger students who are not old enough to enter the Primary examination. There is no examination offered at this level, however students can take part in a Presentation Class. As a syllabus devised specifically with children in mind, examinations are not compulsory. The entry level of a new student is decided by the dance teacher based upon the child’s age, natural ability for dance or previous examination passes with another dance school or examination board, such as the IDTA or ISTD. The Vocational Graded Syllabus is designed primarily for older children or young adults who are considering a career in professional dance, as a performer, teacher or in another capacity. The vocational syllabus is technically demanding and comprises only Classical Ballet and Pointe Work. Students choosing to study this series of awards are required to be competent in the fundamentals of ballet technique and movement vocabulary. Unlike the Graded Examination Syllabus, the vocational grades have to be studied in sequence and the student must successfully pass an examination at each level before progressing onto the next. All vocational examinations are organised by RAD headquarters and instead of being held at a dance teachers own venue, they are held in major cities worldwide. In this situation, the session organiser is responsible for timetabling the examinations, and it is normal for students to dance alongside the students of other dance schools in the examination room. As with the graded syllabus, successful candidates receive a certificate personalised with their name and the level passed. They also receive a report, however for this series of examinations’ there is a different marking system and assessment criteria. Students studying the vocational syllabus are expected to achieve a high level of technical and artistic ability in ballet and it can take a great deal of time and commitment to reach the standard required to pass these examinations. Normally, a student will begin studying the Vocational Graded Syllabus after completing Grade 5 in the Graded Examination Syllabus however some students will continue to study the graded syllabus at the same time. The Intermediate Foundation and Advanced Foundation examinations are the only optional exams in this series of awards. They are devised for students who the teacher feels may need more preparation before studying at the higher level.